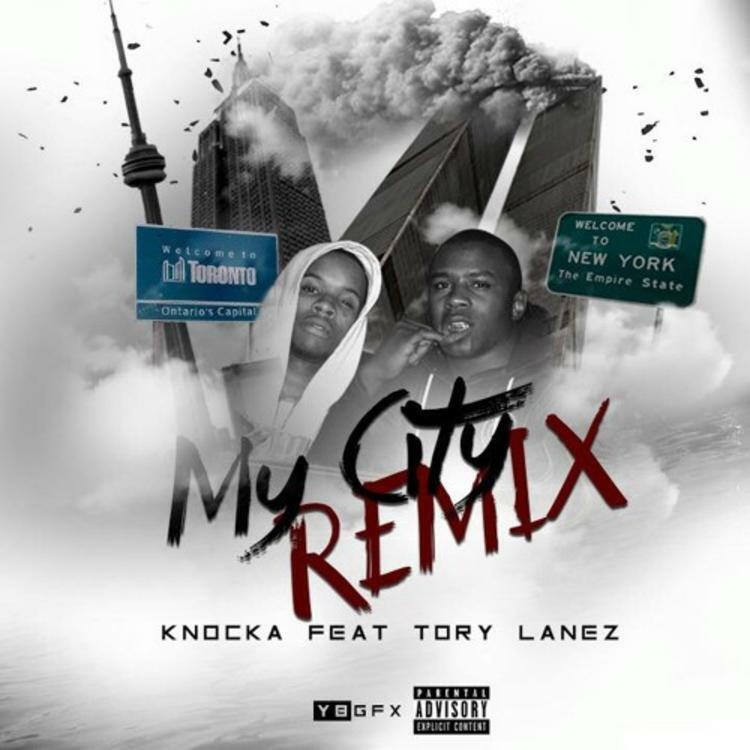 Knocka links with Tory Lanez for "My City (Remix)." We haven't heard from Knocka since last fall, when he got Maino and Chinx together for a big remix of "Dance Like a Stripper." Today, the Harlem emcee is back, starting his 2015 run in a big way by getting one of the hottest talents outta Toronto, Tory Lanez, on the remix to "My City." The respective styles of Knocka and Tory blend nicely on this cold-hearted street record. Unlike the city-reppin' anthems we're used to hearing, Knocka and Tory know that success in one's hometown often breeds jealousy and betrayal. Unfortunately, you don't get to choose your stomping grounds, and both men will continue to put on whether the love is requited or not. What do y'all think of this Harlem x Toronto collab?